Every wise entrepreneur will investigate an opportunity to cut costs while improving service. The Holy Grail of business endeavors, key technological advances, are making this possible to achieve more frequently. Chatbots are one such development. But, is incorporating chatbots right for your ecommerce website? Let’s take a look at the pros and cons of using chatbots for customer service. Any time you can get a machine to effectively replace a human being, you’re likely to achieve cost reductions. After all, once you buy the bot’s software, it’s paid for. Meanwhile you’ll have to pay a person each and every month, plus you’ll provide them with benefits, office space and the like—for as long as they are in your employ. Then again, bots can handle multiple requests simultaneously, they’re available 24/7/365 and they don’t require overtime pay when they’re tasked with working on holidays. 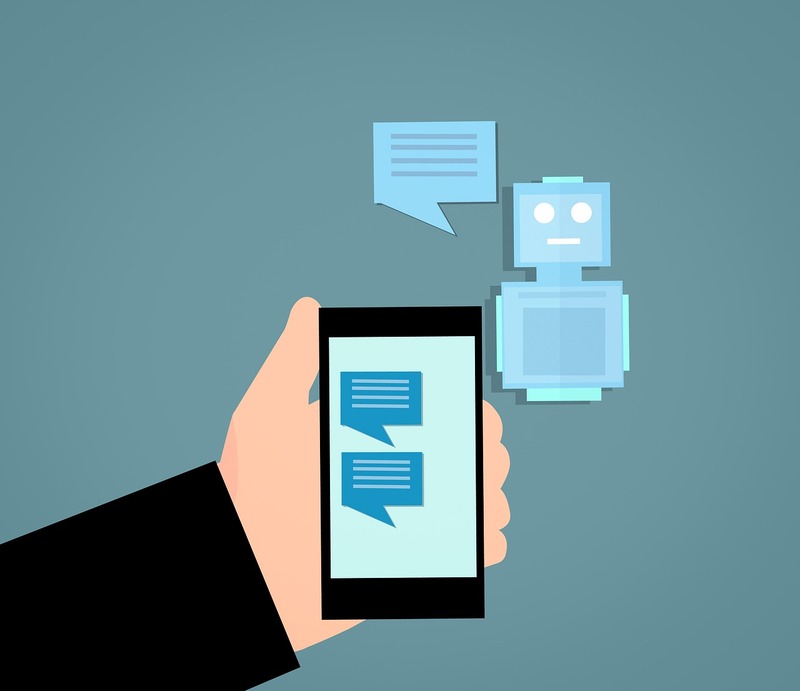 Rather than waiting on hold or standing by until the “next representative is available”, bots can get customers pointed toward a solution right away. Patrons who get fast and accurate service are more likely to shop with you again. With chatbots, you’ll have a written record of every transaction. You can use these to go back over your conversations to see where customers are being under informed and improve your processes accordingly. You can also the data to gain a better understanding of the nature of your customers and provide what’s most important to them. While older customers might prefer speaking to a living, breathing representative, millennials are perfectly comfortable interacting with bots. What’s more, they appreciate the instant gratification chatbots provide. This can be a significant advantage if your ideal customer is a younger person. While this article is about using bots for customer service, they can be employed in advertising, tech support and product ordering just as readily. Their potential is limited only by your imagination, creativity and determination. That covers some of the upsides; here are some of the potential downsides. If a patron needs a response to a question the bot is incapable of providing, the experience could incite frustration. Bots can only provide what they have in their databases. If they get confused, queries can become circular “conversations” with no resolution. You have to be very clear with shoppers about what the bot can and cannot do to avoid this situation. Depending on what you’re trying to use them to accomplish, the price of implementation can be high. In some cases, using a person can be less costly in the short run. You’ll have to analyze the situation carefully to determine whether a live person or artificial intelligence is the most cost-effective solution. If you move your customer service function entirely to bots and the system crashes, you’ll be dead in the water. Chatbots can also be tricked into saying things you don’t want them to say. You should always be careful to ensure you have a backup plan in place should they go down. You must also make sure they’re secure enough to shrug off would-be hackers. Remember, a chatbot is only as good as its programming and the database you provide for it to draw upon. If you sell your furniture online using a platform like Shopify, you have to be careful to ensure your chatbot knows a couch, a sofa, a settee and a davenport all refer to the same type of item. Similarly, if a shopper asks about a crimson love seat, the bot needs to know it’s the same thing as a red one. As you can see, there are a number of factors to consider when you’re looking at the pros and cons of using chatbots for customer service. However, you’ll find the advantages can be a significant plus for your business when implemented carefully.